Amen Street Salads Are Delicious & Healthy! Who said salads have to be boring or bland? At Amen Street, we certainly don’t think you should have to sacrifice flavor when you order a salad. If you’re trying to eat healthier or simply like a lighter lunch or dinner option, we’ve got a few impressive salads on our menus for you to try! For Beet Lovers. 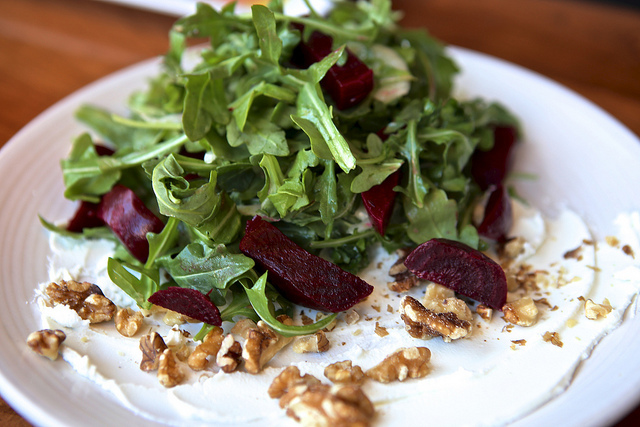 Try our Roasted Local Beets Salad, served with goat cheese, arugula, shaved fennel and toasted walnuts. A sherry vinaigrette rounds out this dish. Seasonal Freshness. We also have a Seasonal Salad featuring a seasonal fruit, mixed greens, Brie and spiced pecans. Seafood. Our Grilled Salmon salad is a lunch-only dish that includes sautéed mushrooms and shallots in a roasted fennel vinaigrette. The Perfect Caesar. For the Caesar salad fan, we offer a Supper Club Caesar with romaine, parmesan, our classic Caesar dressing and herb croutons. To add protein to any salad, you can choose to add-on fried oysters or shrimp, grilled seasonal fish, a crab cake or a delicious scallop! 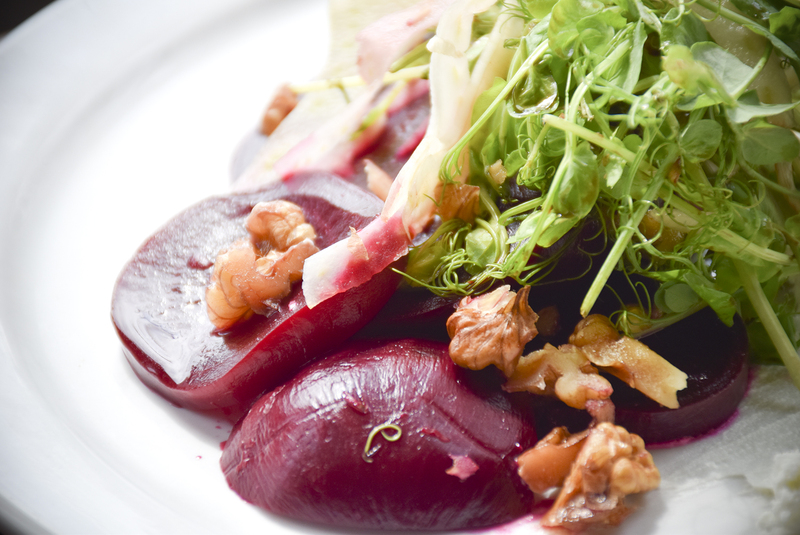 If a salad is your choice for dinner, you can enjoy a dinner portion of several of our lunch salads such as the Roasted Local Beets, Supper Club Caesar or Seasonal Salad. At dinner, add a large portion of our seasonal fish to your salad for an additional charge. Just because you order a salad doesn’t mean you have to leave hungry! 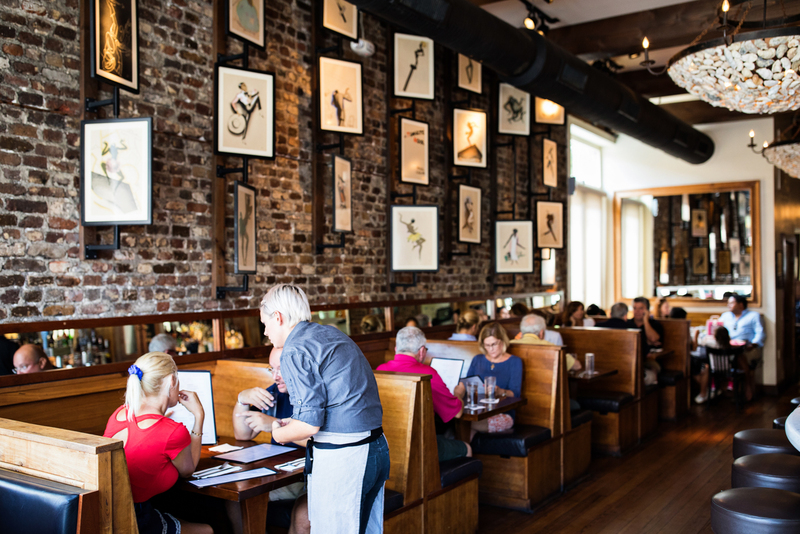 Enjoy all of these delicious salads in the relaxed atmosphere of Amen Street in the heart of the historic district of Charleston. We’re famous for our fresh seafood and raw bar, so you can be sure that choosing a seafood add-on to your salad will be an impressive finishing touch. But don’t just take our word for it—come in to try one of our lunch or dinner salads for yourself!